The driver of the vehicle is a police official stationed at the Lebombo Port of Entry in Mpumalanga. Police spokesman Brig Leonard Hlathi said that four men were found in possession of a .303 hunting rifle, ammunition and an axe in the Kruger National Park on Monday, reports Lowvelder. This happened just after the provincial commissioner of the police, Lieutenant-General Mondli Zuma, vowed that no corrupt element would be kept within the SAPS. The police officer, with his crew, was arrested for conspiracy to commit a crime, while the others were arrested for unlawful possession of a firearm and ammunition, as well as trespassing. The suspects appeared in the Bushbuckridge Magistrates’ Court on Wednesday. 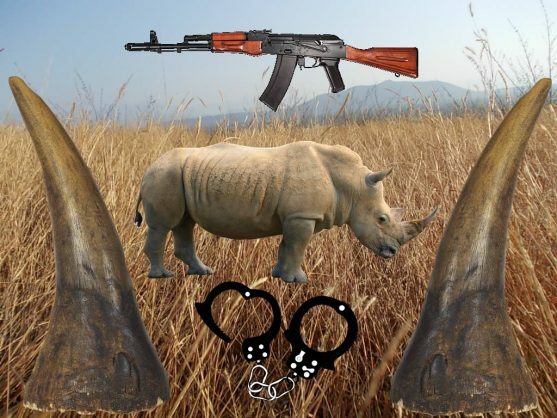 In a separate incident, two alleged poachers, David Kubhayi (27) and Samson Zwane (22), have appeared in the Skukuza Periodical Court on Monday, after they were found in possession of a heavy-calibre hunting rifle and other poaching equipment. Hlathi reported that a shootout ensued between the rangers and suspects, which led to the latter being wounded in the process. They appeared in court in absentia, and the case was postponed to May 29 for further investigation. He concluded that Zuma commended the integrated law enforcers for effecting the arrests without any fear, favour or prejudice and seizing the horns as well as the firearms. Zuma also mentioned that the departmental investigation against the arrested member was under way.